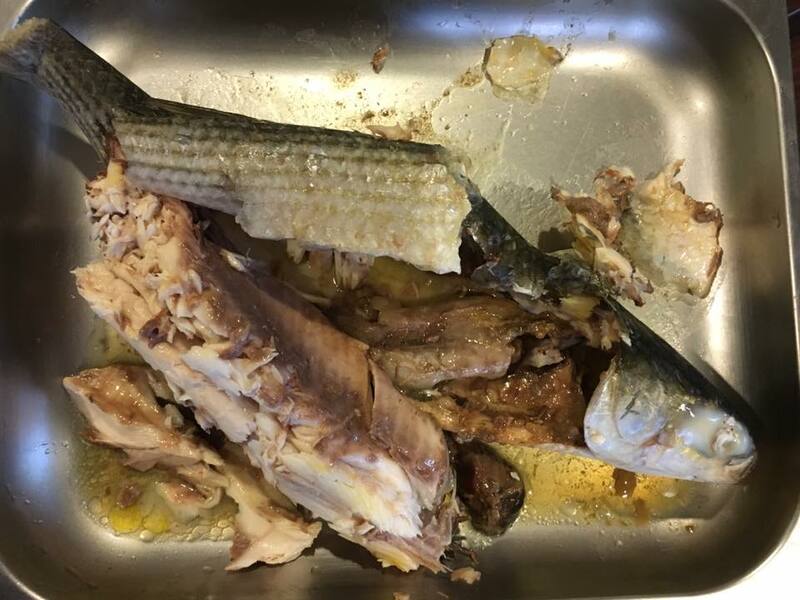 bought some mullet when my china relatives were in singapore, and had leftovers in the freezer. 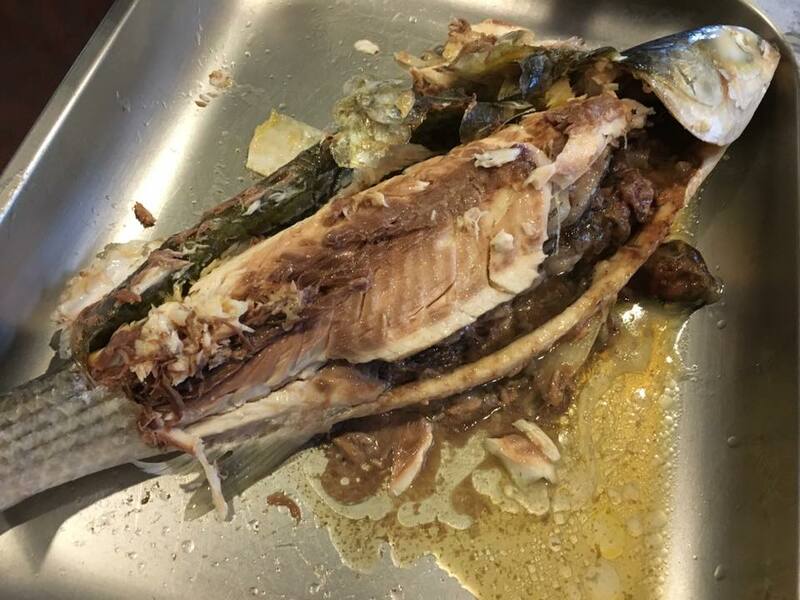 it was in the freezer for >1month but the gills were still red when i cleaned the fish today. 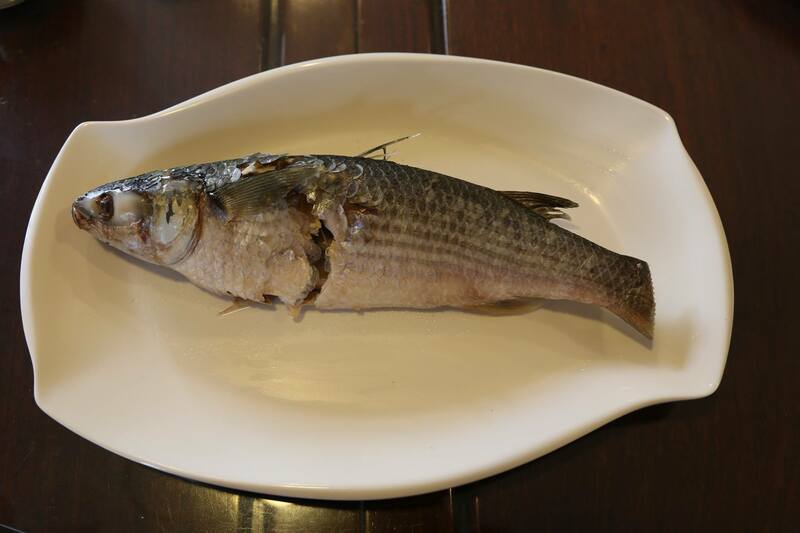 mullet is one of the fishes you do not ask the fish monger to prepare the fish. he would remove the scale & also the precious things in the belly. steamed 11mins in the steam oven (any steamer will do the same) with scale on, when cool put in the fridge for 1 hr..
the scales came out easily with the skin…if you remove the scales before steaming, you have hard time removing the skin when eating. it’s very difficult to tear with a pair of chopsticks. the meat is indeed fishy but very sweet with the tau jeon 豆酱. 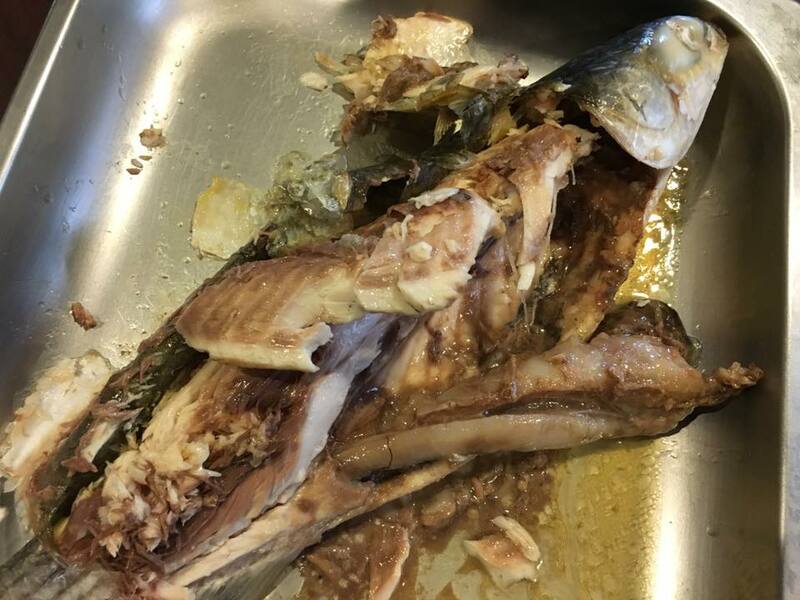 the precious fish lungs, liver, fat etc, tasty, omega 3 ya?? simple, easy to make, effortless really. & really enjoy leh! 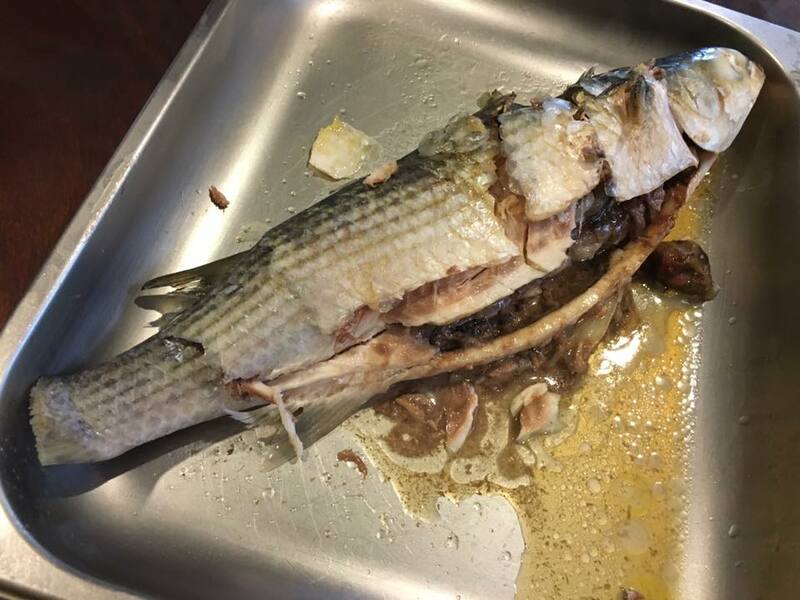 This entry was posted in Recipes and tagged 豆酱, fish lungs, liver, omega 3, tau jeon, teochew chilled mullet. Bookmark the permalink.